Construction: All TIG welded stainless steel braided hose assembly. 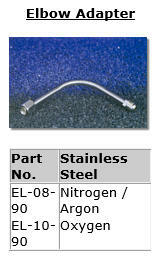 Optional full-length or partial stainless guard and Vacuum Jacketed Hose Assemblies are available. 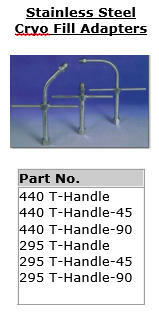 -> End Fittings Configurations: • CGA 440 for Oxygen Service. • CGA 295 for Nitrogen or Argon Service. • Male Pipe Thread one end with CGA fitting other end. • Other end fitting configurations available. 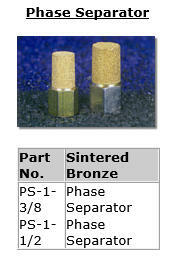 • Fittings available in various alloys. Temperature Range: • Cryogenic to 1500° F. Standard Working Pressure: • 1/2" ID - 1200 PSI at 70° F. • 1 1/2" ID - 590 PSI at 70° F. • 2" ID - 648 PSI at 70° F. • 2 1/2" ID - 484 PSI at 70° F. *Transport hoses are available for all cryogenic liquids. **Higher pressures are available for special cryogenic applications. For additional information regarding our Cryogenic Gas products and your specific application, please contact us. For our hose specification worksheet view our STAMPED page! Construction: All TIG welded stainless steel braided hose assembly. 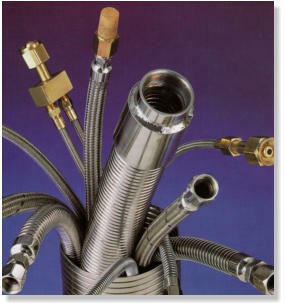 Optional full-length or partial stainless guard and Vacuum Jacketed Hose Assemblies are available. End Fittings Configurations: • CGA 440 for Oxygen Service. • CGA 295 for Nitrogen or Argon Service. 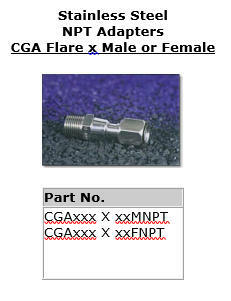 • Male Pipe Thread one end with CGA fitting other end. • Other end fitting configurations available. 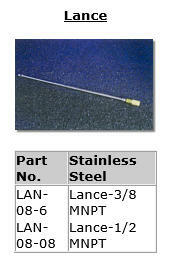 • Fittings available in various alloys. Temperature Range: • Cryogenic to 1500° F. Standard Working Pressure: • 1/2" ID - 1200 PSI at 70° F. • 1 1/2" ID - 590 PSI at 70° F. • 2" ID - 648 PSI at 70° F. • 2 1/2" ID - 484 PSI at 70° F. *Transport hoses are available for all cryogenic liquids. **Higher pressures are available for special cryogenic applications. For additional information regarding our hose products and your specific application, please contact us.